Axia Smart Active, what is it? - BMA Ergonomics. Home > Axia Smart Active, what is it? Axia Smart Active, what is it? The Axia Smart Active is an ergonomic Axia 2.0 office chair that helps you achieve a relaxed and well-supported posture. But it is much, much more. It is a complete and innovative seating system that brings together all our expertise in the field of ergonomics, technology and sustainability. The Smart Active technology is built into the chair. It gives a vibration signal when it’s time to get up out of your chair. 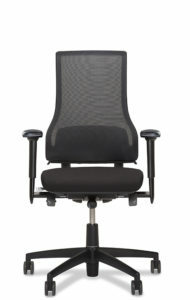 A good chair promotes healthy working in the office, but you also need regular movement. What about fetching coffee with your colleagues, a stroll round the block during lunch break, a wander round the office while thinking, or standing up while on the phone. That’s why the Axia Smart Active office chair gives you direct feedback when you’ve been sitting on the chair for too long. By teaching yourself an active work style, you get the best out of yourself. And you go home feeling fit after a long day’s office work! 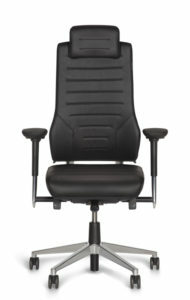 All ergonomic office chairs from the 2.0 Series can be equipped with the innovative, patented Smart Technology. The Axia Smart Active is just one example of this. 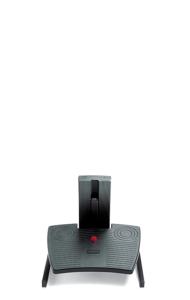 This system is aimed at developing an active work style via direct feedback on your posture: the Axia Smart Active app. The Axia Smart Active app. Every user is unique. That’s where a unique Axia Smart Active office chair comes in. And that’s why the associated Axia Smart Active app gives tailor-made advice on improving your work style. You just have to install the free app on your smartphone and connect it to the unique signal of your chair. 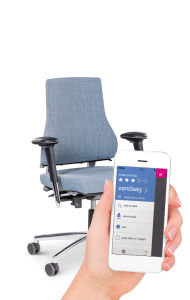 By setting your own sitting profile, you receive personal feedback from the Axia Smart Active app. Clear sitting statistics stimulate you to get the best out of your working day. The app also gives you amusing and practical advice for a more active work style. Until you are a 5-star seater. Then you need no further feedback from the chair and app for a healthy posture. 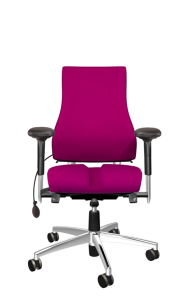 The Axia Smart Active office chair makes you aware of your own posture. The associated app also challenges you to develop an active working style! Go to Google play or the Apple App Store and download your personal coach free of charge!